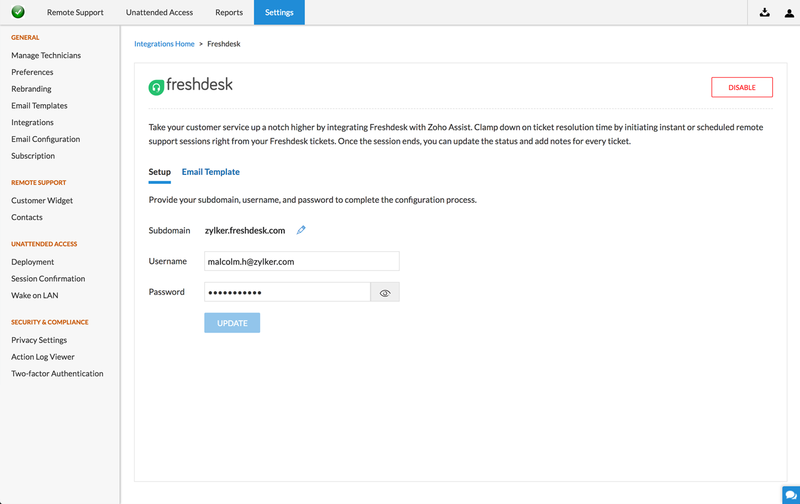 Integrate Freshdesk with Zoho Assist to resolve tickets by initiating an instant scheduled remote support sessions right from your Freshdesk ticket. The integration is simple, and does not require any software installation. On completion of a remote support session, you can update the ticket status and also add notes to the ticket. Fill in your Subdomain, Username and Password to complete the configuration process. Go to Admin > Apps > Get more Apps. 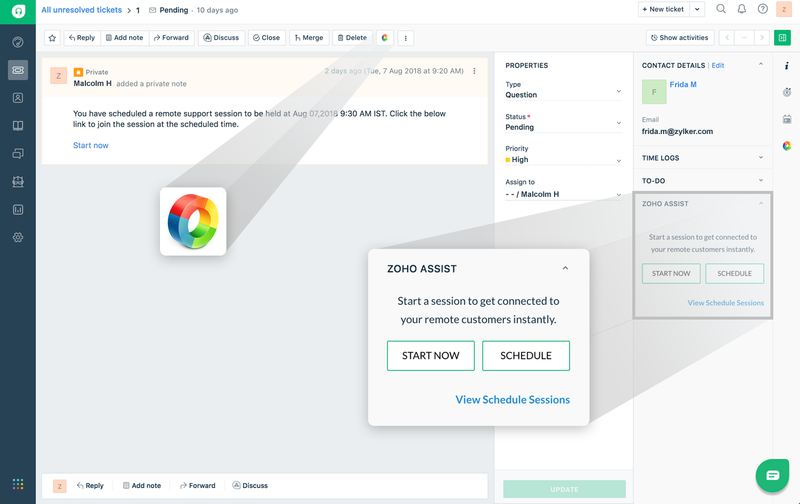 Look for Zoho Assist Remote Support app. Click Install and select the domain name that you have been using with Zoho Assist to complete the integration process. Open the ticket to be resolved. 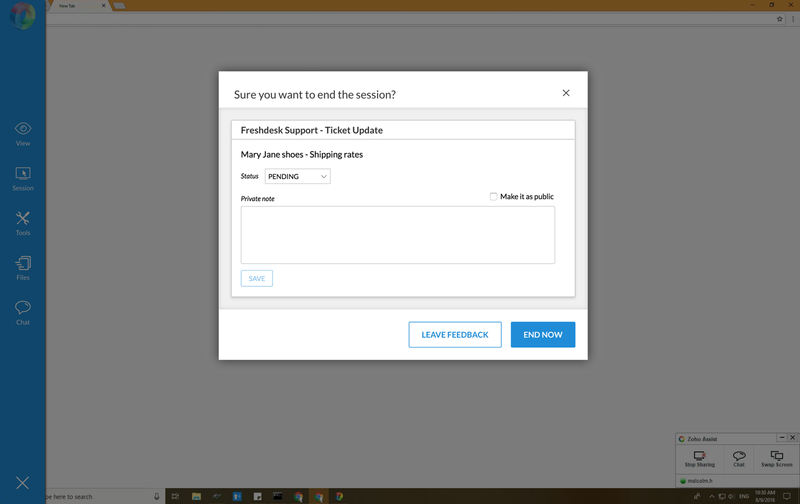 Click START NOW or SCHEDULE in the ticket menu bar at the right side to initiate an instant or scheduled remote support session. Once the remote support session ends, a dialog box will open up. You can update the ticket status from the drop-down given beside Status. You can add notes in the space provided and also make it public by clicking on the checkbox beside Make public.